The innovative Sapphire chassis is derived from a close collaboration with professionals, kinematics and application of innovative technological developments. 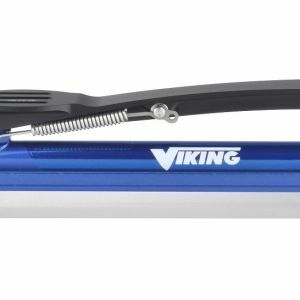 With the specific properties of the tube, the special wide bracket, high quality materials and sophisticated welding the Sapphire offers a sensational new Viking feeling. 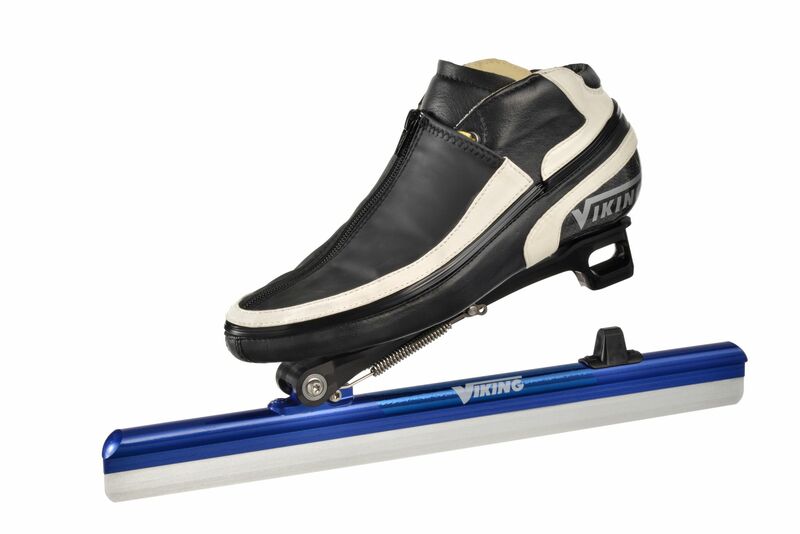 With the introduction of the Sapphire blade Viking brings a new sensation for intermediate to advanced skaters. 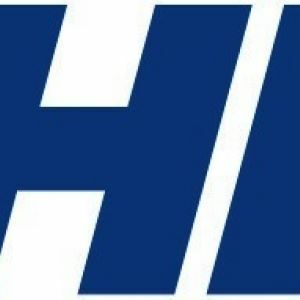 The Sapphire reveals surprising characteristics through the combination of high quality materials and innovative production techniques. The revolutionary closed (oval) shape of the tube increases stiffness in the horizontal pane with up to 50%, what means that the tube keeps its specific properties from front to back. During the specialized production process a double laser welding technique is being used to fully close the connection between blade and tube. By doing so, corrosion can be prevented and extra bending capacity is created. An inserted bend will remain even better due to the high pulling strength of the distinctive sapphire AHSS steel. With its 41mm height the Sapphire is made to excel in competition. 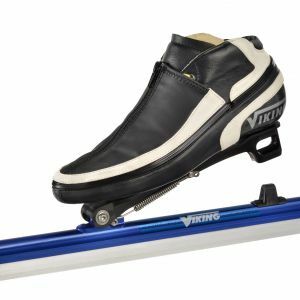 The Sapphire bridge comes with a specially designed extra broad footplate that ensures great stability and direct contact with the ice (through a better connection between blade and shoe). 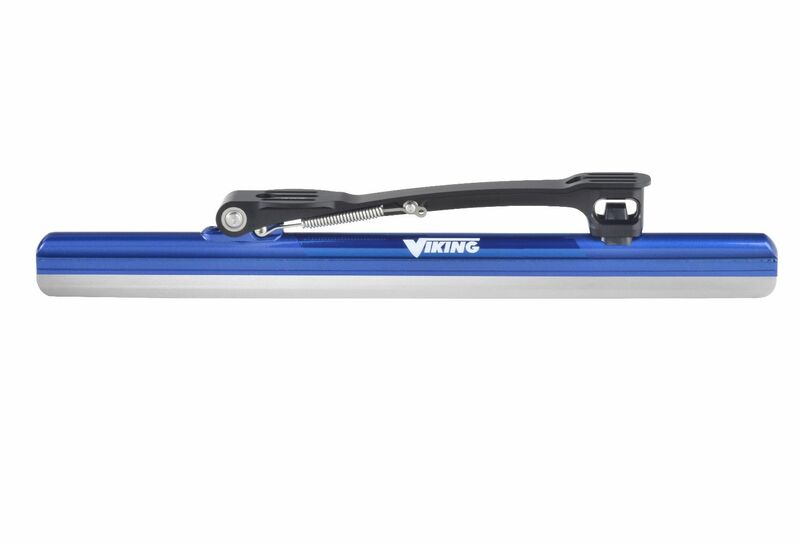 In comparison to the Viking Nagano blades the Sapphire has a longer steel, and therefore even more pressure. 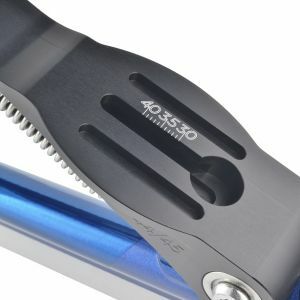 With its oval shape, HSS PM steel blade, double welding and 41mm, the Sapphire creates lots of pressure in the corners, and by doing so provides better corner work. The sapphire is great to steer and with its rounded tips it is safe and suitable for Marathon and Mass start (by ISU safety regulations). 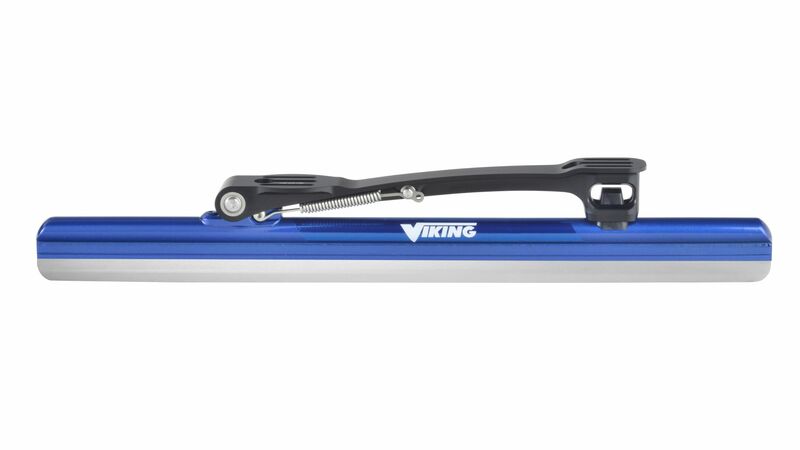 With the Sapphire Viking also introduces a brand new system to mount your shoe with maximum precision and ease. 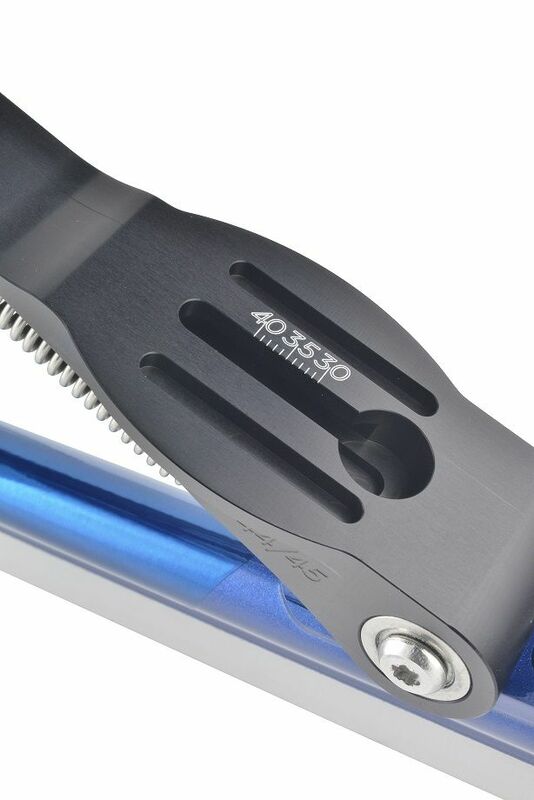 With an included key you can alter and fix the positioning bolt between shoe and bridge. This makes positioning easy and detaching less invasive. The turning mechanism of the undercarriage is equipped with high quality ball bearings. This excludes wear and tear. 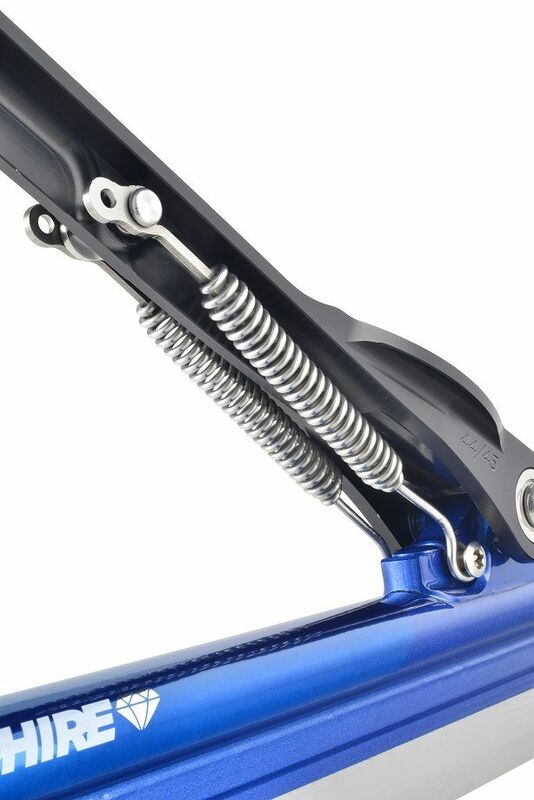 The specially formed springs have a small eyelet to pull on and easily exchange springs with. 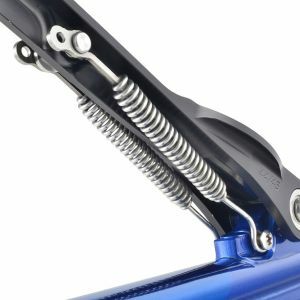 The springs are available in three strengths.